Dimensions: 16 x 20 in. 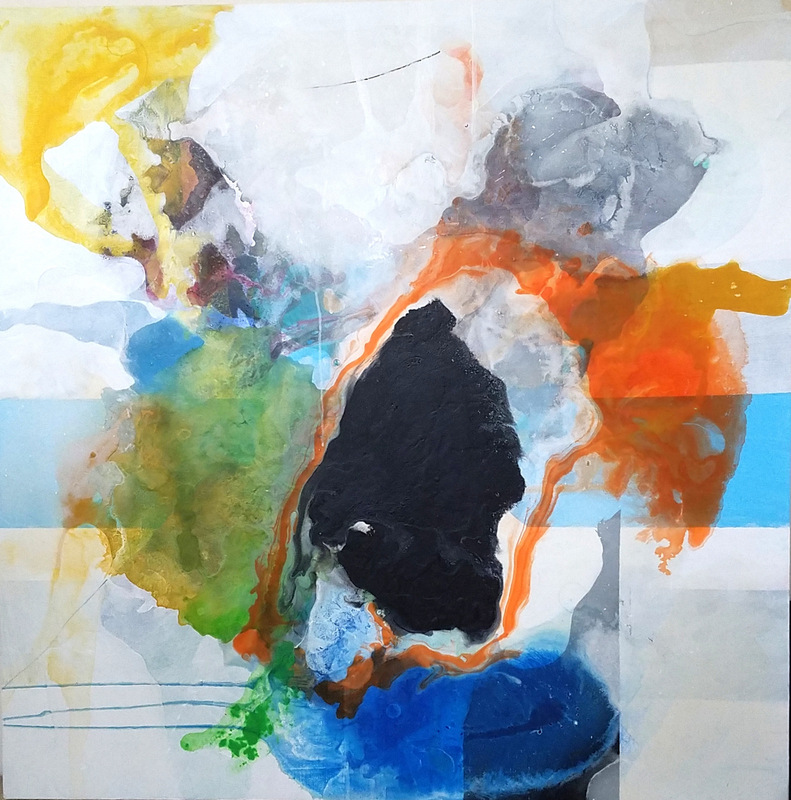 Bicycle Fine Art is excited to showcase three new works by fine artist Matthew Bielen. These new paintings highlight Matthew’s painting methods, while also offering insight into his process and the stories behind each work. Matthew reveals the vibrant colors he incorporates into his paintings are “typically based on where my mind is that day in terms of emotion and nostalgia.” Two-Year Plague, 1616 bears an ominous name, which is further emphasized through aggressive application of pigment and splattering effect of pooled paint. While his techniques offer a realized concept through material, Matthew notes that the titles of his works “always reveal themselves toward the very end of the process. 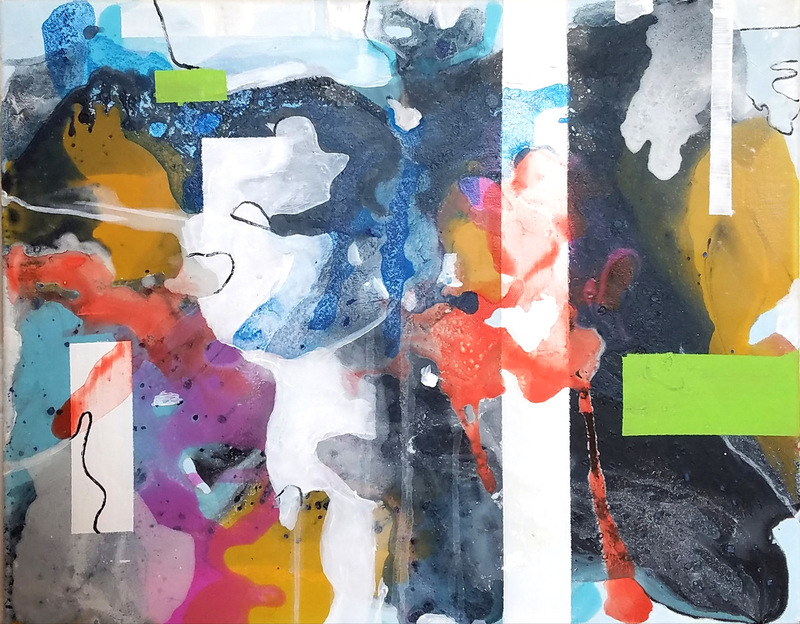 Free association and intuition help to combine the work with the title.” Working fluidly both in concept and material, Matthew’s paintings are dynamic pieces that require closer inspection and deeper rumination. Dimensions: 36 x 36 in. A painting that has a more direct inspiration for a title is Matthew’s work The People of the First Light. Continuing to use the northeast as his source of inspiration, Matthew explains that he’s “been reading about the concerns of Native American tribes regarding their historical portrayal in the history of Cape Cod.” In his research, Matthew discovers that the Womponoag tribe’s name can be translated as “People of the First Light,” sparking further inspiration and investigation. Along with influence from the northeast coast, Matthew’s work revolves around nature and man’s interaction. This painting in particular reflects the relationship between the indigenous Womponoag people and nature, especially with Matthew’s color selections and painting techniques. Matthew remarks that he “tried to let less be more, allowing the pigment to do its job,” forming organic pools of pigment that crawl and intersect one another. The distinct pooling of paint on canvas is especially evident in Matthew Bielen’s Dangerfield. Relying on his techniques which operate along with chance, Matthew tells Bicycle Fine Art that this work in particular “sat around my studio for over a year, accruing more paint with no tangible outcome.” Frustrated and about to throw the canvas in the trash, Matthew makes one last effort, which ironically, would become this finished painting. Allowing his materials to take control, Matthew discovered a result that surprised him. “Before the white paint even dried, I decided to pour some blue onto it and left it overnight. 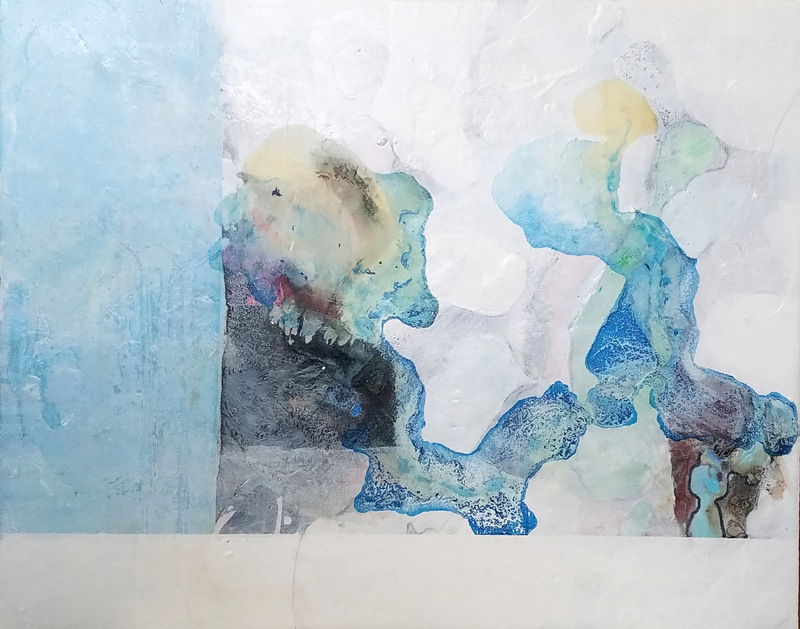 The next morning what I saw was something that I never could have planned for.” Matthew Bielen’s paintings can result in outcomes that present themselves through the materials. The unique manner in which Matthew works as an artist allows for his paintings to change and take a life all on their own.